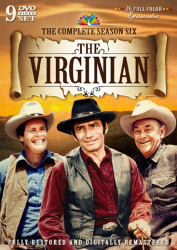 For the first time, NBC Universal and TMG bring you the complete, uncut first season of Wagon Train, one of America's most enduring and sought after TV westerns of all time. 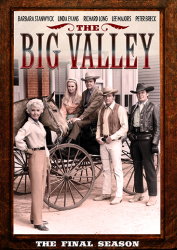 Direct from the NBC vaults, these 39 episodes have been re-mastered and presented on 10 dual layer DVDs in this special collector's edition. 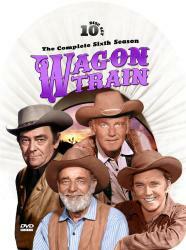 Inspired by the classic western film Wagonmaster, directed by John Ford (The Searchers, Stagecoach), Wagon Train debuted on Wednesday, September 18, 1957 on the NBC Television Network. 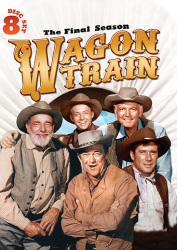 The ensemble acting, wonderful scripts and great western scenery soon made Wagon Train a fixture in American homes on Wednesday nights, as millions of Americans of all ages tuned in to NBC for great family entertainment. 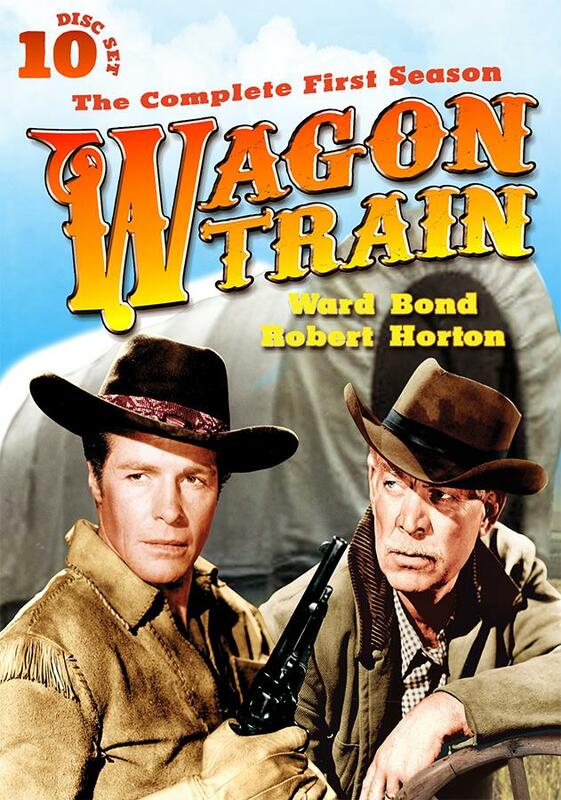 Ward Bond, who starred in Wagonmaster, recreated his role from the film as Major Seth Adams. 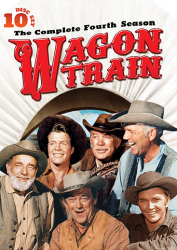 He was joined by costars Robert Horton as Head Scout Flint McCullough, Frank McGarth as the cook Charlie Wooster, and Terry Wilson as Assistant Wagon master Bill Hawks, who all brought their skills as horsemen as well as wonderful actors to the show, giving Wagon Train a special, western flavor. 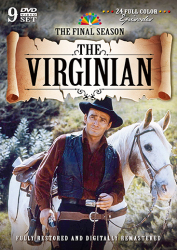 Each well crafted episode focused on a personal story of courage and perseverance of not just the main cast, but of the westward-bound emigrants as they made the perilous journey by Conestoga wagon from the banks of the Mississippi to California's Pacific shores, in the face of great odds. Their heart-warming (and sometimes heartbreaking) sagas tell the tale of how the American West was truly won, by hard-warming and determined people driven by the promise of freedom and prosperity in the new land, and by those who saw them through the harshest of landscapes to the promised land that beckoned them. 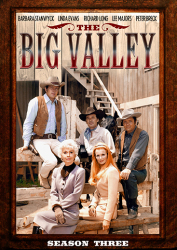 Joining the cast each week were some of Hollywood's brightest stars in guest roles, including Ernest Borgnine (The Willy Moran Story), Sterling Hayden (The Les Rand Story), Agnes Moorehead (The Mary Halstead Story), Keenan Wynn (The Luke O'Malley Story), June Lockhart (The Sarah Drummond Story), Debra Paget and Nick Adams (The Marie Dupree Story), and many, many more. 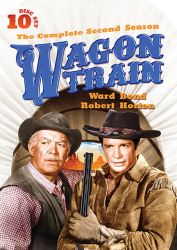 This 10 DVD collector's edition of Wagon Train - The Complete First Season, including all 39 episodes, is sure to please both fans of the original broadcast, and newcomers who are seeing it for the first time. As Major Adams says as he leads his charges westward and they roll their Conestoga wagons out onto the prairie, WAGONS HO!